A quick note before the instructions: if you don’t want to make your own prusik loop from cord you can buy one presewn into a loop and ready to use. Both the Sterling Ropes Hollow Block and the BlueWater Ropes Sewn Prusik Loop are good choices. 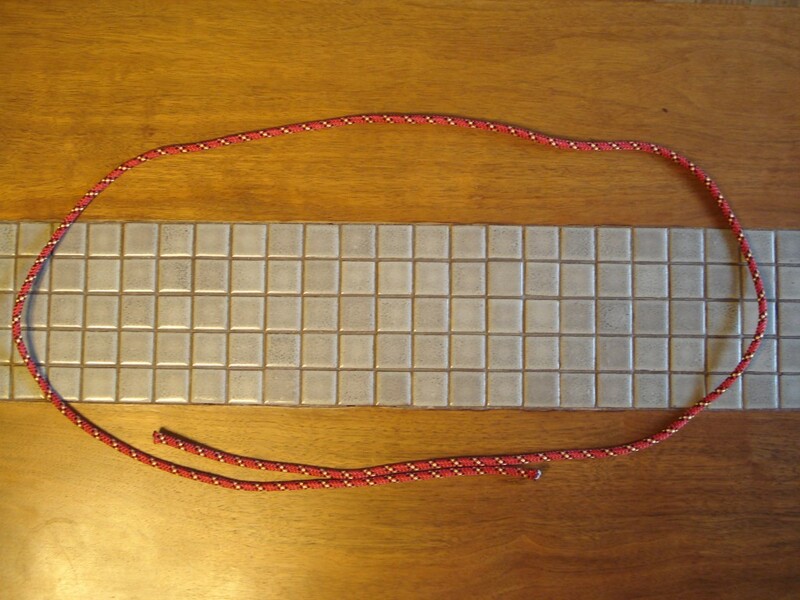 For use as an autoblock to back up a rappel choose a prusik loop around 20 inches long. For general purpose climbing and rappelling the 7mm diameter version is good. Step 1: Purchase 6mm or thicker nylon accessory cord . Spectra/Dyneema is not recommended due to it’s low melting point. Step 2: Get out scissors or a knife, a lighter, a tape measure, and (optionally) electrical tape. 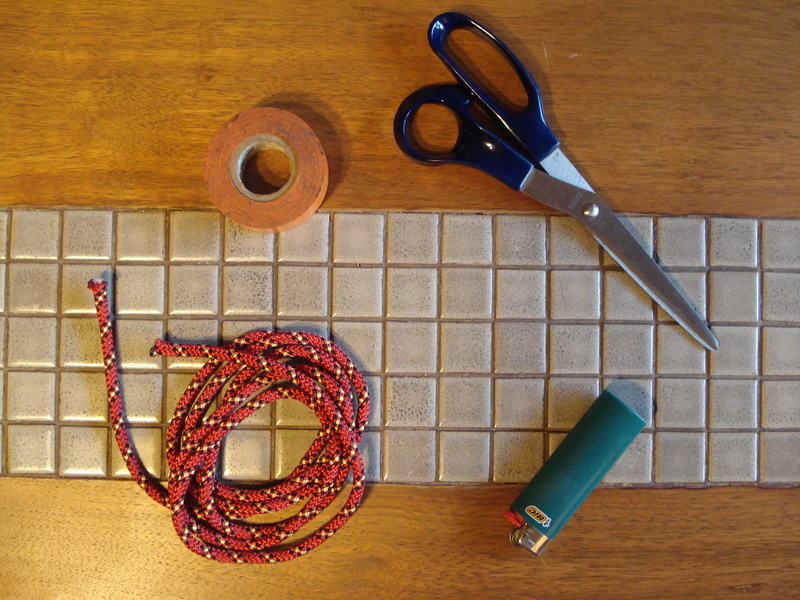 Step 3: Cut a length of cord about 60″ (152cm) long. This will produce a Prusik cord of about 20 inches in length. 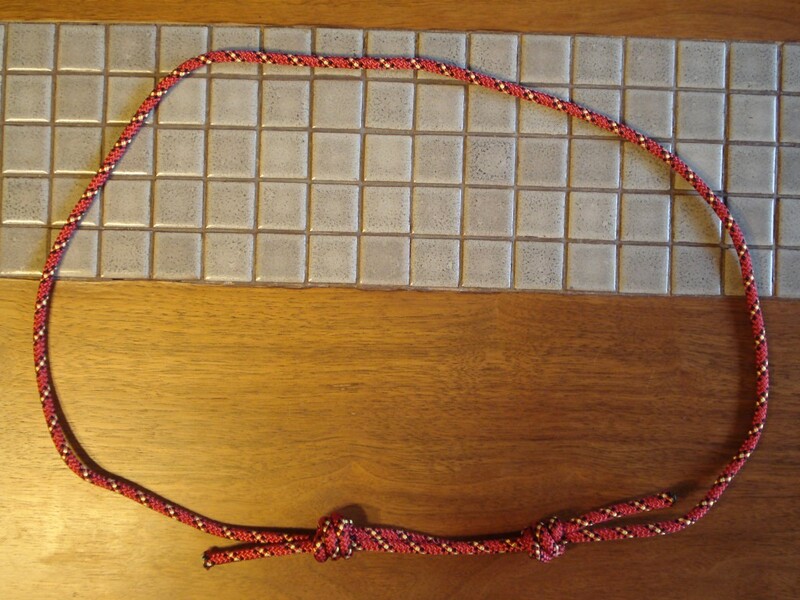 This is a good length for a general purpose cord for use as an Auto-Bloc for rappelling. Longer Prusik cords are also sometimes used in other applications. Loop the cord around so that the two ends are overlapping by about 10″ (25cm). 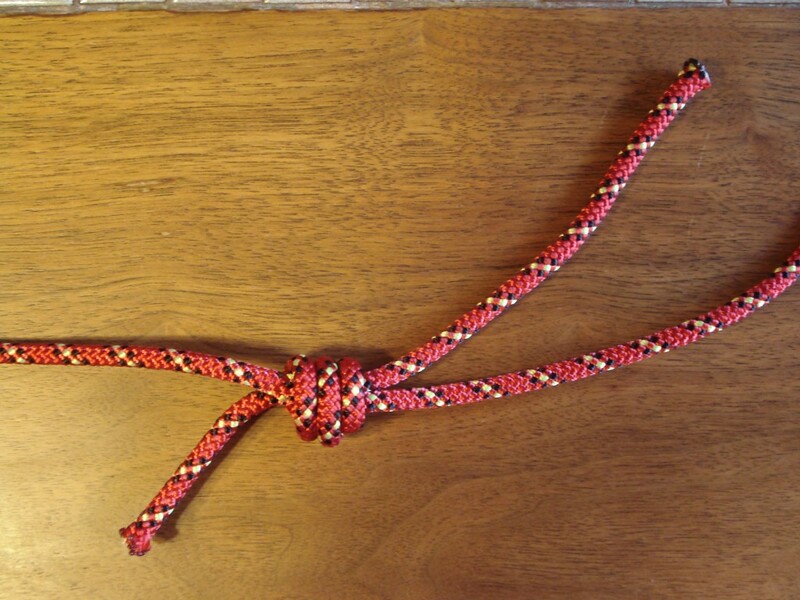 Step 4: Using one end of the cord, tie a double fisherman’s knot around the other end. Use a triple fisherman’s knot on cord with a slippery sheath. Be sure to leave about a 1 to 2″ (2.5 to 5cm) tail coming out of the knot. Make sure the knot is very tight. 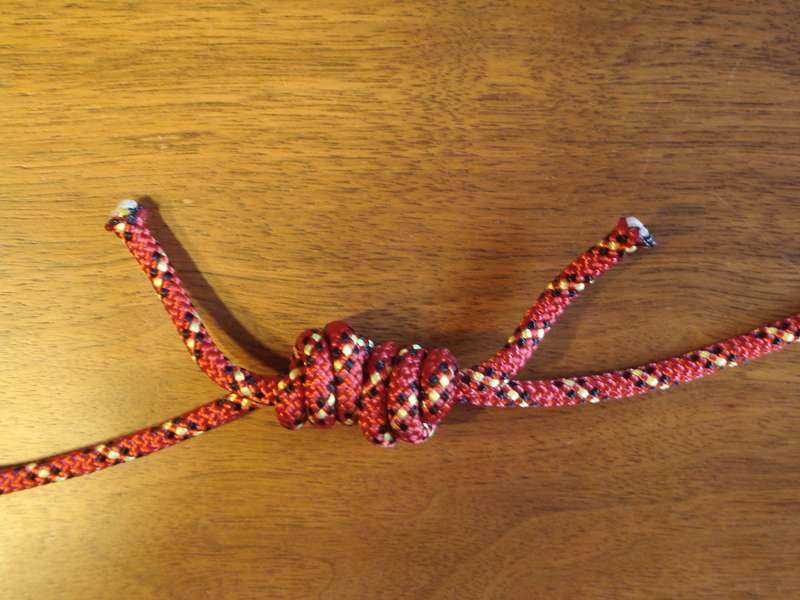 Step 5: Tie a double (or triple) fisherman’s knot in the same way on the other end of the cord. Again, be sure to leave about a 1 to 2″ (2.5 to 5cm) tail coming out of the knot. Make sure the knot is very tight. Step 6: Pull the cord until the fisherman’s knots are tight against each other. Step 7: Tape the tails to the loop so that they don’t get snagged and so you and other climbers can tell which prusik loop is yours. Step 8: You now have a prusik cord. Have an experienced climber check it before use. Looking for more rock climbing how to’s? Check out How to Wash a Climbing Rope. What is the minimum caliber or gauge recomended (cord) to use for a prussik cord used on a life line for a 250 lbs person? 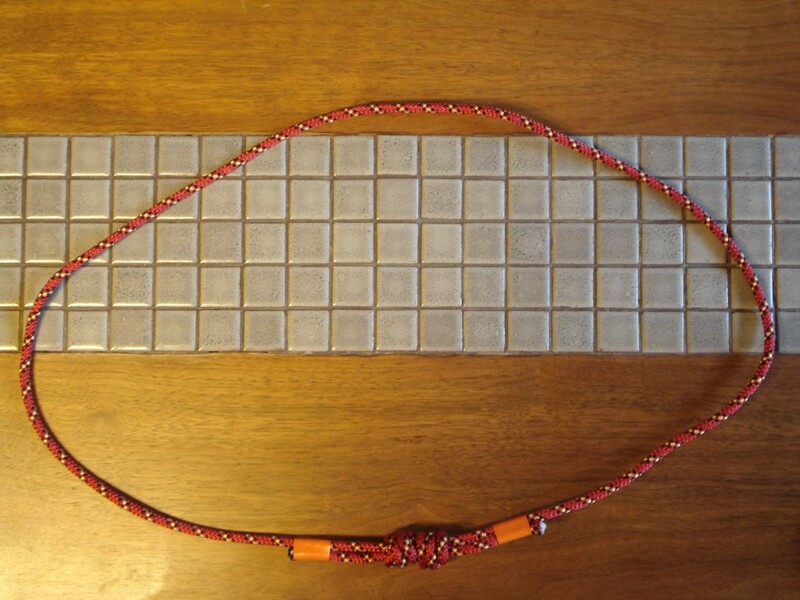 Five millimeter cord is commonly used for a prusik rappel backup for normal climbing purposes (not search and rescue or guiding when the cord may have to support multiple people). It will support a 250 pound climber but if you’re worried about it go with 6mm cord. Rock Climbing: The AMGA Single Pitch Manual recommends 6mm for guiding as “A thinner cord will grip better, but below 6mm in diameter, the cord will be too weak for many rescue applications.” I’m not sure I’m understanding what you mean by “life line” so you may need something else if the application is not rappel backup.